Unipetrol, the Czech Republic’s largest refining and petrochemical group, continues its planned investments. 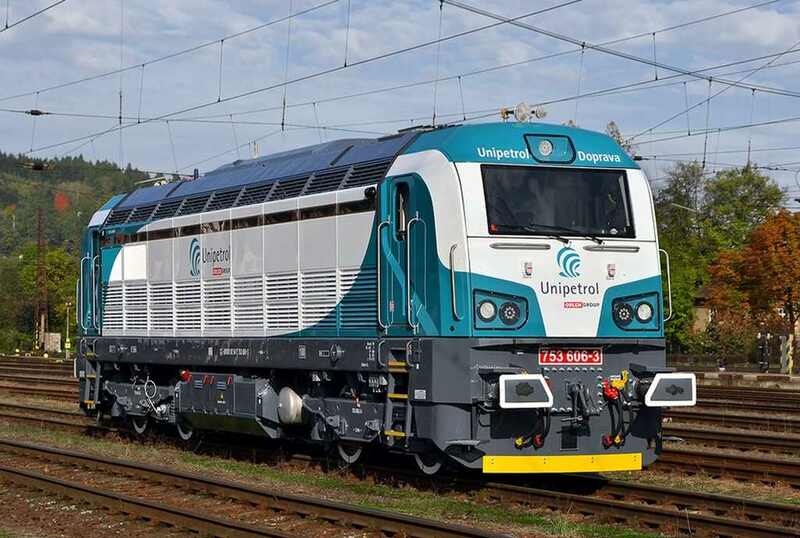 Its subsidiary Unipetrol Doprava, which is engaged in rail transport and transport of chemical products, has expanded its fleet by two modern locomotives – a modular multi-system locomotive Vectron MS from Siemens and a diesel locomotive Effiliner 1600, often called Bizon, from CZ Loko. 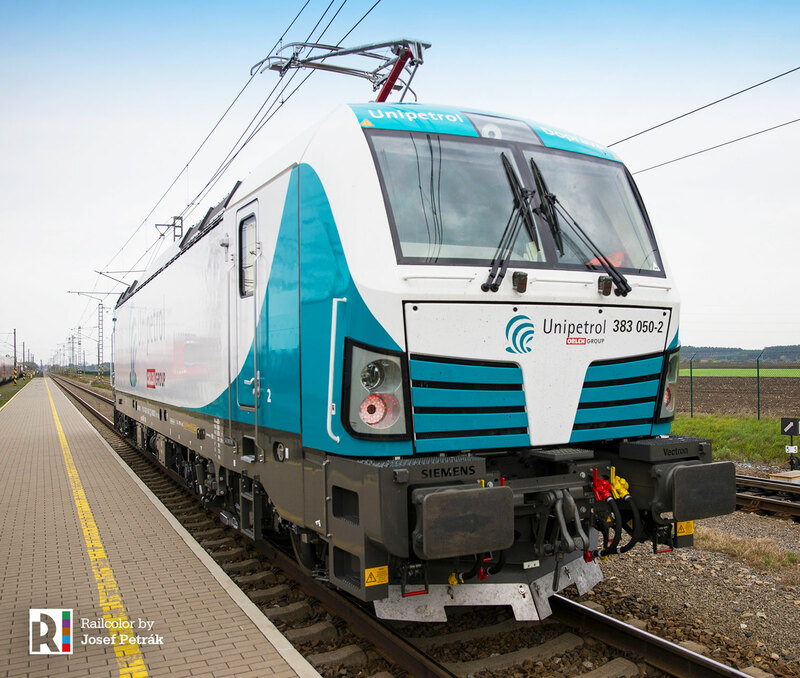 Purchasing the total of three electric locomotives from Siemens and two diesel locomotives from CZ Loko is part of Unipetrol Doprava’s gradual fleet renewal. Unipetrol is going to receive two more Vectrons in spring next year, the second Bison will be delivered as early as by the end of this year. According to the announced strategy, Unipetrol intends to invest more than CZK 16 billion in 2017 and 2018. 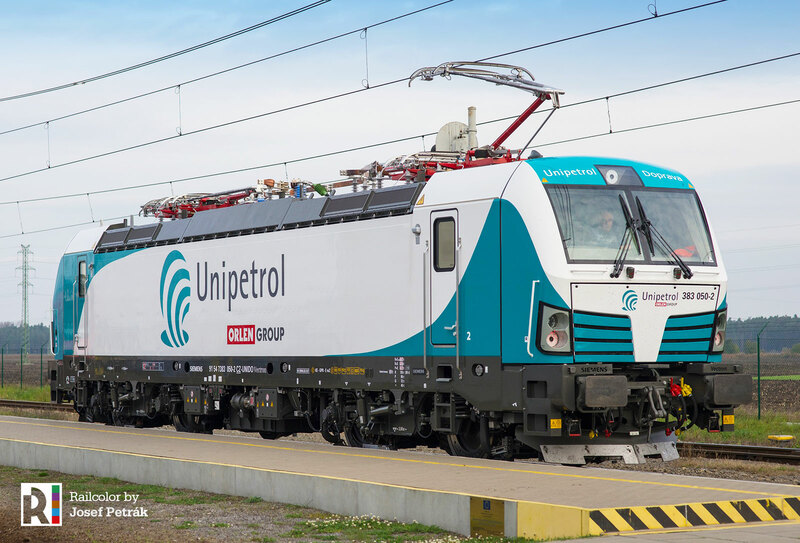 One of the planned investments is this very renewal of the railway transportation fleet of Unipetrol’s subsidiary Unipetrol Doprava – an important Czech railway carrier. With its contractual partners it provides transportation also to the neighbouring countries. „The machinery fleet modernization is one of the prerequisites for meeting our medium-term plan – that is to increase the volume of transported products from the current 3.1 million tonnes to the target four million transported tonnes in 2021,“ said Ladislav Hlína, Executive Director of Unipetrol Doprava. 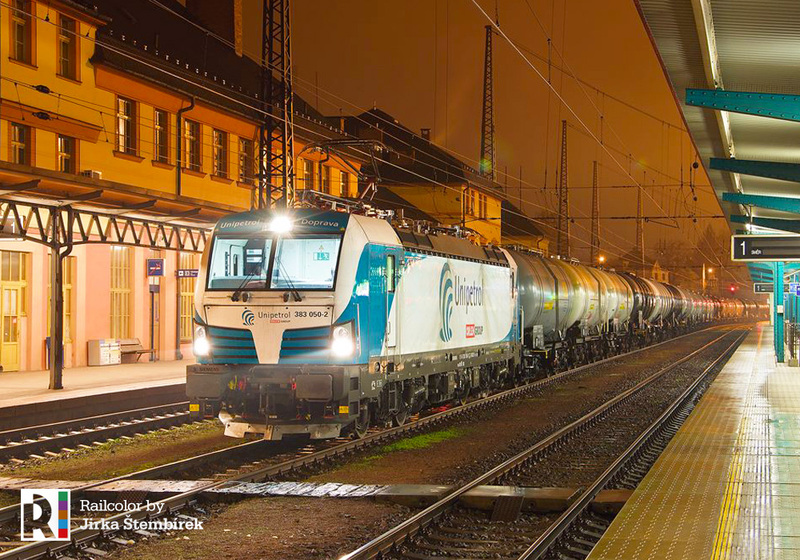 Siemens Vectron locomotives will be used primarily for the transport of chemical products. They can be operated in the Czech Republic and in all neighbouring countries, i.e. in Germany, Austria, Poland, and Slovakia. Besides the national train control systems, the locomotives will also be equipped with the unified European Train Control System (ETCS), GSM-R, and remote diagnostics. The locomotives will have the nominal traction power output of 6400 kW and the maximum speed of 160 km/h. Due to its modular conception, the locomotive can be retrofitted with the equipment necessary for its operation in other countries. The handover of the first locomotive dressed in Unipetrol colours will be followed by the handover of two more locomotives in spring next year. The Effiliner 1600 diesel locomotive made by CZ Loko, nicknamed Bison, has a CAT 3512 C-HD engine with the power output of 1.6 MW and is equipped with an alternating-direct output transfer (AC/DC) from the internal combustion engine to four driving double wheels. This is already the sixth locomotive in this series made by rebuilding 753 749-753 type locomotives nicknamed “brejlovec” (Railcolor: meaning “goggles” or “diving mask”). However, it has a brand new design and a prolonged service interval. CZ Loko now handed over the first of the two ordered locomotives to Unipetrol Doprava. Unipetrol has an option to buy two more. „The new EffiLiner 1600 locomotives have a high operational reliability and, at the same time, low operating and maintenance costs. I am glad Unipetrol now received the first one of these locomotives. I strongly believe that once Unipetrol checks out all its features in full operation, the company will use the option to order more,“ said Josef Gulyás, Director of CZ LOKO. Unipetrol Doprava is a rail carrier that provides a broad portfolio of services on the railway market. Besides the carriage of chemical products Unipetrol Doprava specializes also in forwarding, leasing of railway wagons, repair and cleaning services as well as consulting activities. Among its customers are the companies of the chemical holding Unipetrol, as well as a number of other external customers among which are important rail freight forwarding companies, foreign transport companies and other chemical plants not related to the holding.